Born on 22 May 1953, Shri A. K. Bansal is a Post Graduate in Agriculture from the renowned G B Pant Agriculture University, Pant Nagar, Uttarakhand and recipient of ICAR Junior Research Scholarship. Shri Bansal has worked as Executive Director of Indian Overseas Bank between 2010 to 2013. He had exclusive charge of Large Corporate, International Banking, MSME, Planning, NPA management, Agriculture & Priority Credit, Inspection & Audit, Public Relations, Customer Service & Vigilance. 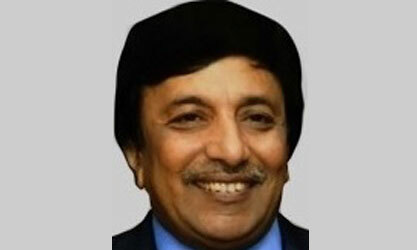 He joined Union Bank of India as Agricultural Field Officer at the age of 23 years in the year 1976. He was awarded Super Achiever and Star Performer status and conferred with the Chairman Club Membership. He was also the driving force for setting up the Bank’s Capital Market Cell at Mumbai. He has been conferred the Indira Super Achiever Award for the year 2010-11 by the Indira Group of Institutions, Pune in recognition of his high contribution to the field of Banking and Finance during his banking career.